We offer a sizeable fleet of 360 degree wheeled excavators, known affectionately in the trade as ‘rubber ducks’. 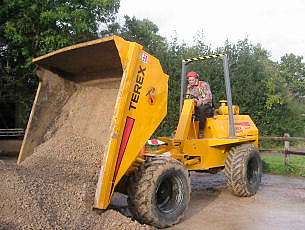 Sizes range from 3 to 25 tonnes, and can be provided with or without a CPCS operative. Wheeled excavators are highly flexible workers on-road or off-road. 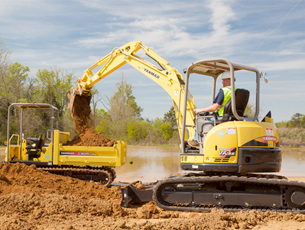 These versatile machines give you the excavator bucket, attachment and digging performance you need, along with a smooth ride and high travel speeds. Whether your heavy equipment needs range from road building, general construction and maintenance to waste handling, recycling, landscaping and utilities, wheeled excavators from Titan will drive your capabilities further!! 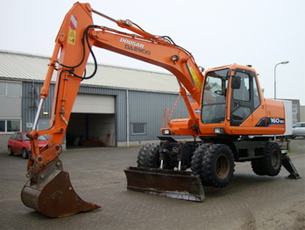 We offer a sizeable fleet of 360 degree tracked excavators. Sizes range from compact but powerful 3 tonne ‘mini’ excavators to heavy duty 25 tonne crawler excavators. All our excavators can be provided with or without a CPCS operative. We offer a choice of steel or rubber tracks to meet your requirements, and the full range of attachments to maximise versatility on site. Whether your heavy equipment needs range from road building, general construction and maintenance to waste handling, recycling, landscaping and utilities, tracked excavators from Titan will drive your capabilities further!! We operate a sizeable fleet of wheeled loading shovels of varying sizes and specifications, with or without a CPCS operative. Let us help you to choose the wheeled loading shovel that best suits your needs, selecting from a wide range of attachments. From quarrying, aggregates, block handling and material handling, to civil engineering & building construction, recycling, waste handling, timber yards and agriculture, customers turn to our wheeled loaders to dig, move and load more profits!! Our range of mini skid-steer loading shovels are the ideal size to work quickly and efficiently on limited-access jobsites thanks to their radius lift pattern and short wheelbase. 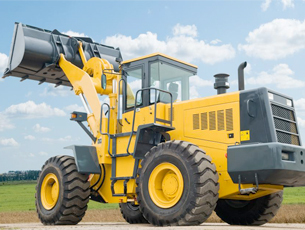 Uses include construction, demolition, bulk handling, earthworks and related applications. 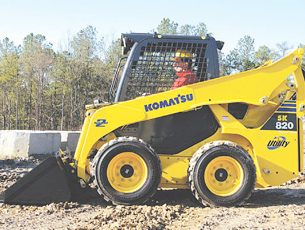 A wide range of attachments turn our small skid-steer loaders into a versative problem-solving model. The integral mounting system makes changing attachments quick and easy. Mini skid steer loading shovels are also easy to transport, giving you the benefit of tackling jobs at multiple sites in a single day. Our range of Forward Tipping Dumpers can be provided with or without CPCS operatives. Forward Tipping Dumpers are essential fixtures on almost every type of construction site; large or small. They can handle a multitude of terrains and carry large payloads with ease. We offer a range of sizes from micro and mini dumpers capable of the most constricted site to larger dumpers where you need to move a lot of material in a short space of time. Our range of Rough Terrain Forklifts can be provided with or without CPCS operatives. 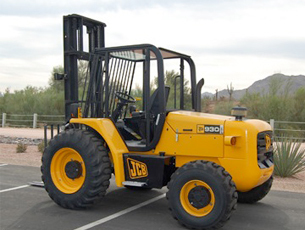 They can handle a multitude of terrains where conventional forklifts fear to tread, and carry large payloads with ease, precision and stability. We offer a range of sizes and configurations including both conventional and telescopic handlers. 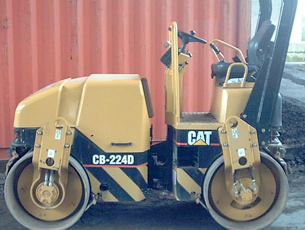 Our range of Ride on Rollers provide, quite literally, the firm base on which the rest of the project is built. We can offer wide range of different models in various weight classes, with a choice of drums, travel systems and exciters, always providing the right solution. A wide range of options is also available for enhanced utilisation and profitability. As with all our plant, we can provide with or without CPCS operatives.